If you visit our Facebook page often, you would have noticed we spoke a lot about the coming implementation of Motor Detariffication. This is because we find that this subject important as it affects all Malaysians who own a vehicle. And we want to create awareness on the subject and educate the Malaysia public on this matter. 1. 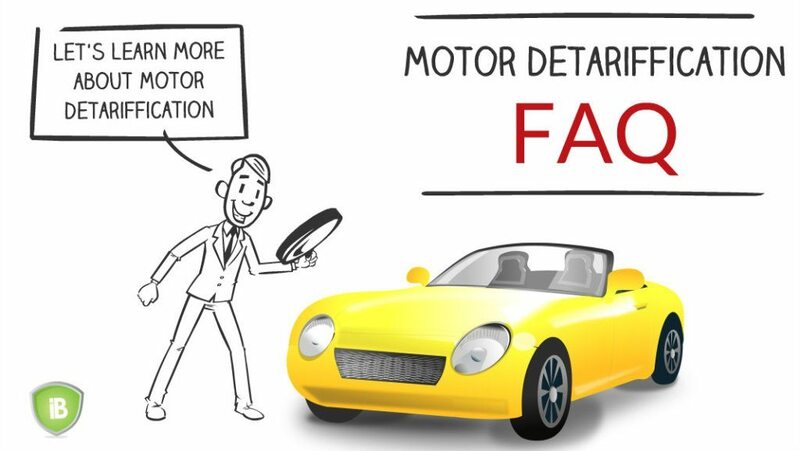 What is Motor detariffication? Motor detariffication simply means that insurance companies are free to use their own method to calculate the price for motor insurance, i.e. each insurance company can set their own insurance price. 2. How is it different with the existing method of premium calculation? Currently, motor insurance in Malaysia is tariffed, this means that it is controlled by Bank Negara. 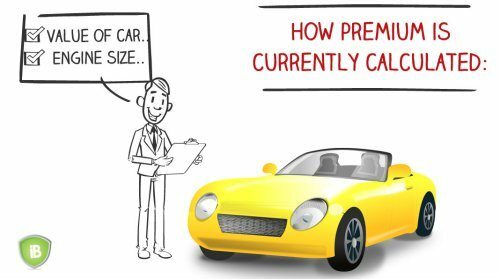 Insurance companies in Malaysia have to follow BNM’s guide in premium calculation which makes the price by each insurance company the same. To make it easy to understand, this is similar to the petrol price in Malaysia, whichever station you go to, the price of petrol is the same. With motor detariffication, each insurance company is free to determine the price for their insurance product. Again if we take the price of petrol as an example, this is as though each station that you go to now will charge a different price for petrol. 3. How is premium calculated today? 4. Why am I getting different prices from insurance companies, even though motor detariffication has not yet been implemented? Agents and insurance companies can value your car differently. So if company A thinks your car is worth RM 50,000 and company B thinks your car is worth RM 60,000, you get two different insurance prices. The best way is to follow MyCarInfo. We believe it is the most neutral and reliable source. Insurance companies have the right to place up to 15% loading on insurance for special cases. Common examples are loading for young drivers or cars that are older than 10 years. In these cases it helps to know someone “important and influential” in the insurance company, because the loading is not the same for all insurance companies. Insurance companies love to bundle their motor insurance with other products, especially those that bring them a lot of profit. The most common add-on that companies bundle with motor insurance is Personal Accident Insurance. For instance, Allianz integrate its Road Warrior plan with their Personal Accident Cover (PAC) while Zurich Insurance calls it AutoPAC. So you may think you are only buying Roadside Assistant with your car insurance, but in fact you are buying a second insurance. Insurance companies often make it mandatory for you to purchase this add-on with their motor insurance. Because of these reasons, it is wise to compare insurance prices from different companies even now as this can help you save. 5. How will it be calculated after the implementation of motor detariffication? After the implementation of motor detariffication, insurance companies will ask for more information about the driver to set the price. It no longer only takes the vehicle into consideration. 6. When is the implementation date? The latest news from Bank Negara plans to implement it in phases. July 2016 – Insurance providers can start to introduce new non-tariff products and add-on covers. July 2017 – Starting from this date, insurance prices for motor insurance will no longer follow the tariff structure set by BNM. Insurers will start to charge motor insurance premium according to a set of risk factors. This means that you will only start seeing changes in your premium price after July 2017. 7. How can this help me save on motor insurance? If you are considered a ‘safe’ or low-risk driver, your insurance premium could be lower. 8. What can I do before the implementation of motor detariffication? As a wise consumer, you should start comparing prices and products offered by different insurance companies in order to find out which company can offer a solution that is best for you with the most competitive price. 9. Is motor detariffication good for Malaysia? i) This will create a healthy competition among the insurance providers which will result in the introduction of a variety of new products. ii) Due to competition, this will also result in an improved service offered by the insurance companies where we could see a faster and more efficient claims management process. iii) We could see the roads becoming safer as people will start driving more carefully to save on the price of their motor insurance. Want to learn more about Motor Detariffication in Malaysia? We recommend the below sources.